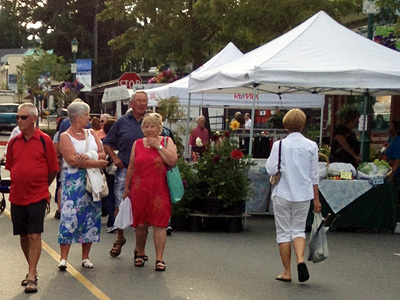 Qualicum Uptown Market – every Thursday through July and August! The 2nd Street Uptown Market is back for the summer season on Thursday evenings from 6-9 along 2nd Ave. between Memorial and Primrose. Lots of great vendors with unique art, fun finds, and yummy treats! Come enjoy a summer evening out, businesses and restaurant are open late – see you there!